It’s daybreak at Sanctuary Ranch in Stanwood, Michigan. Ryan Bollman, general manager, takes his first sip of coffee long before the first rays of sunshine flicker in the morning sky. Walking into the woods in complete stillness, his breath caught in the cool air, he climbs into a deer stand, looks out through his “office window” and realizes he’s not the average Joe or Jane pushing papers or punching a time clock. Bollman spends his days a little differently than most desk jockeys. When running a business that is four square miles of gorgeous northern Michigan terrain and bursting with the largest, most sought-after Whitetail deer, the “daily grind” has a slightly different meaning. Sanctuary Ranch is a one-of-a-kind, preserve trophy hunting experience that rivals any in the country. While most nature-raised, hunted Whitetail are only one and a half to two years old, the Whitetail at Sanctuary Ranch are a mature five to six years old. These larger, majestic deer are a game hunter’s dream, with Sanctuary home to some of the smartest and most elusive bucks that hunting aficionados have ever seen. Ask any of the hunters who return year after year what brings them back to Sanctuary Ranch and you don’t hear about trophies. You hear words like tradition, family and friendship. This is what Sanctuary Ranch does that elevates the experience. Bollman and the entire staff take the time to know their clients—their likes, preferences, how they like to hunt and where. 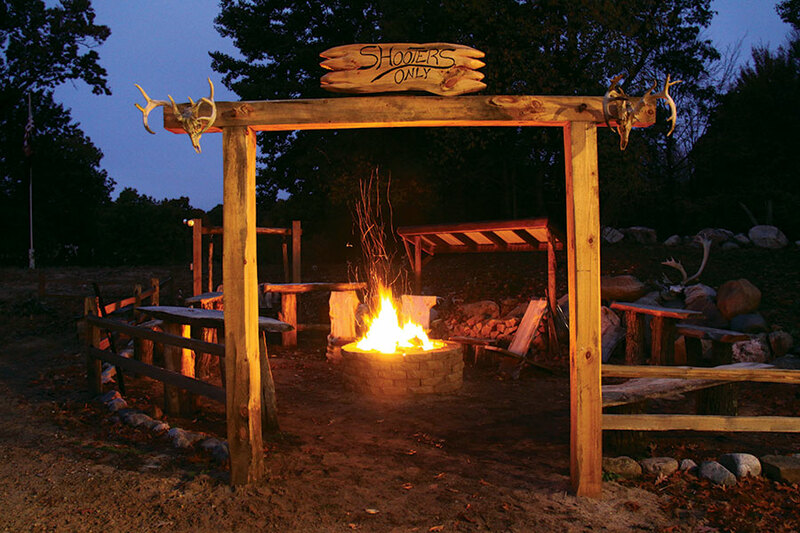 Sanctuary Ranch pairs hunters and groups with the perfect leader who takes hunters on an experience that is custom-made just for them. Then they come back to the lodge to eat great food, tell even better stories, and make new friends. And return they do. Year after year, with new generations joining older generations, these hunters create memories they’ll have forever, along with their majestic trophies. These experiences are why Sanctuary Ranch has built a clientele that is practically anticipating their next trip before they’ve even left the ranch. Bollman doesn’t get out in the woods quite as often as he used to, as his responsibilities on the property continue to grow. However, he doesn’t seem to mind entirely.